Amidst calls for the disclosure of the Exxon Mobil Contract, Transparency Institute Guyana Inc. (TIGI), has taken the initiative to ascertain whether the release of the said document is supported in existing laws. To its dismay however, TIGI has noticed that there might be a serious obstacle to disclosure embedded in governing law, specifically the Petroleum Exploration and Production Act – Cap 65:10. According to the transparency body, the law seems to provide a built-in secrecy clause. “4. (1) Subject to subsection (2), no information furnished, or information in a report submitted, pursuant to this Act by a licensee shall be disclosed to any person who is not a Minister, a public officer or an employee of the Guyana Geology and Mines Commission except with the consent of the licensee. (3) Where a licensee is a party to a petroleum agreement the right of the licensee, his servants or agents to disclose information about prospecting or production operations under the licence shall be subject to any restrictions or limitations in that respect specified in the agreement. TIGI noted that this clause was inserted in 1997 and its application would mean that all the information released to the public is what the oil companies now talking to Government of Guyana, want released. The body said that it is not clear whether this applies to the contract. It is specifically asking the Government to provide clarity in this regard. 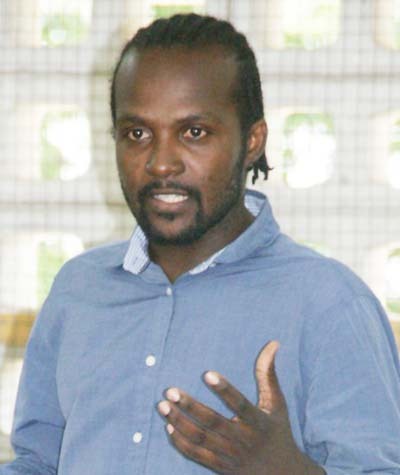 “If it does, this would mean that the Minister (of Natural Resources, Raphael Trotman) and the Leader of the Opposition (Bharrat Jagdeo) have not been dealing with the Guyanese public in good faith since they would have known full well that they would be breaking the law by disclosing anything else but never cited the law as a reason,” expressed the body. TIGI also expressed concern about the very existence of this confidentiality clause and wants to know whether it can expect to see it removed in the revised act which is due shortly.